Learn how to make peanut sauce, then experiment with the seasonings to make it as mild or as spicy as you like. 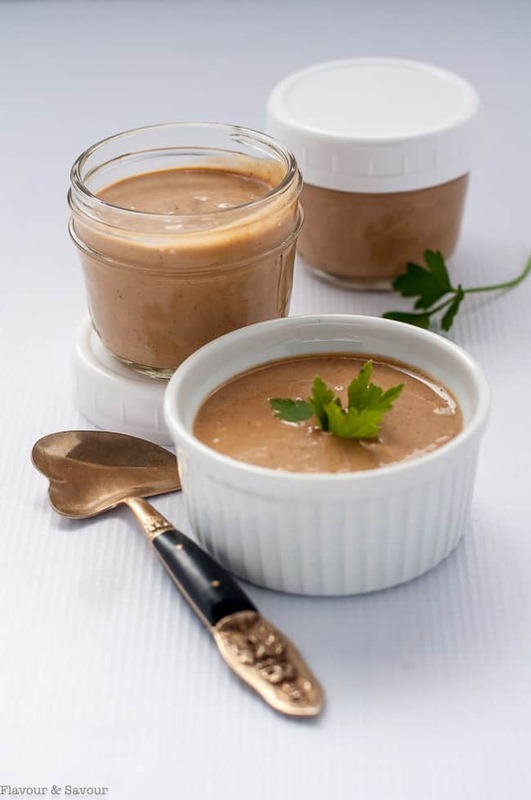 Follow these simple directions to make your own homemade peanut sauce. There are many peanut sauce recipes on the Internet and they’re all a little different. After experimenting several times, this recipe made with coconut milk is the one I like best. Today I’m here to explain how to make peanut sauce and why you should! 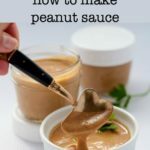 Why learn how to make peanut sauce? I’ve used homemade peanut sauce in a few recipes here on the blog, but after having an incredible peanut sauce in a Thai restaurant on our recent vacation, I played with my recipe a little to make it lighter and creamier. This recipe is the result, and I’ve nailed it! 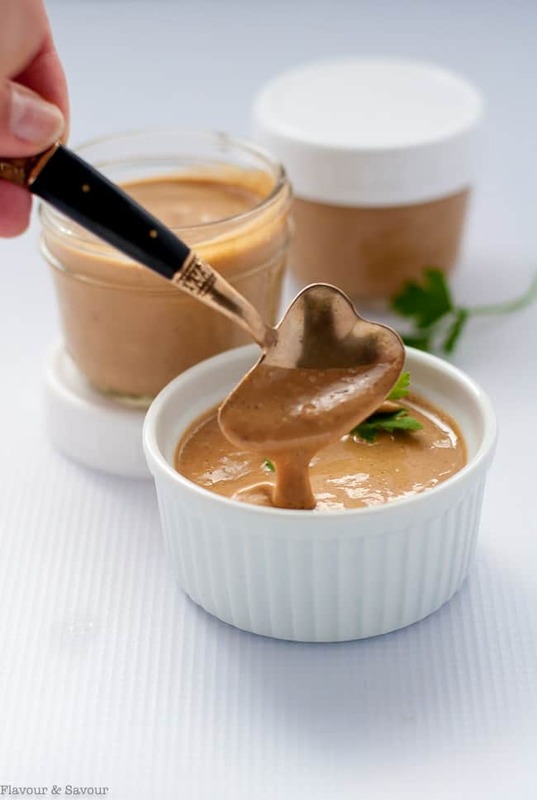 This recipe for how to make peanut sauce from scratch uses natural creamy peanut butter. It will not taste the same if you use peanut butter with sugar added. Use canned, full-fat coconut milk to get that sought-after creamy texture. Adjust the seasonings to suit your family’s tastes. 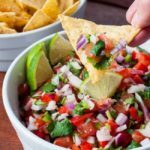 This version is quite mild, so you could increase the amount of ginger and sweet chili sauce if you want a spicier result. 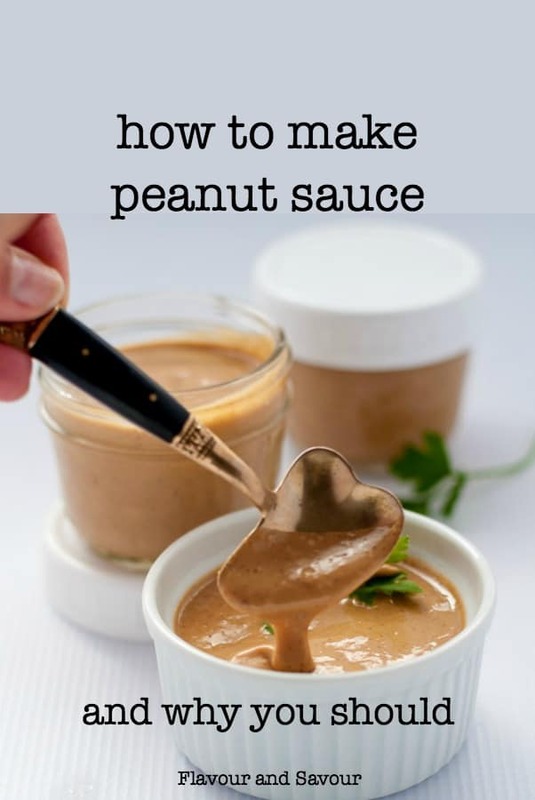 Making Homemade Peanut Sauce is easy! Combine all the ingredients in a food processor or blender and process until smooth and creamy. This recipe makes 1 1/2 cups of peanut sauce. 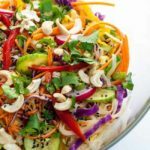 I store it in 1/2 cup Mason jars in the fridge or freezer so they’re ready to use when I want to make my Easiest Chicken Satay Salad or my Simple Singapore Chicken Satay, my favourite Thai Noodle Salad or as a tasty dip for fresh veggies. Once you learn how to make peanut sauce, you can experiment with the seasonings to make it as mild or as spicy as you like. 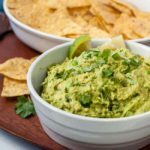 Combine all ingredients in a food processor or blender and process until very smooth and creamy. Store in small glass jars in the refrigerator or freezer. Makes 1.5 cups. I made some peanut sauce yesterday too and it’s nearly gone already. How addictive is that stuff?! Even when you make a double batch, it doesn’t last. Haha. Love your recipe. Travelling always seems to inspire the taste buds. Loreto is the sauce connoisseurs between us and he makes them all the time. I wasn’t used to having any kind of sauces (other than tomato sauce 😉 ) until I came to Canada and now I am already addicted to some of them. Like a good, and homemade, peanut sauce! 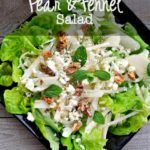 Yours look and sounds amazing, with the coconut milk (which I love!). I adore a good peanut sauce. It goes with so many things! And you’ve laid this out so nicely too, with the options and the basic ingredients. 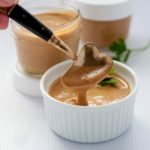 I’ve tried my hand at a few peanut sauces in the past and been unimpressed, and I think it’s because too many of them basically just try to make peanut butter into a thin sauce without the added flavours (ginger, garlic, lime, etc.). So hooray for this! Thanks!